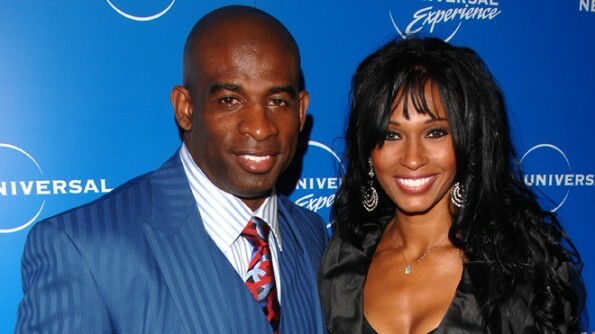 Former NFL CB & Hall of fame player Deion Sanders was awarded a $2.2 Million suit against his ex-wife Pilar for defamation he brought against her last year. The lawsuit came about when Pilar gave interviews as well as posting online about how Deion physically abused her resulting in the enormous settlement, which offset any money that he owed her as part of their divorce settlement. Pilar is not done and wants to keep fighting, but wants a judge to help her because she doesn’t have the money to file an appeal nor pay any of her bills. “Pilar filed docs in her divorce case explaining she is too broke to pay the court fees to file an appeal. She states she has 3 children – 2 sons and a daughter – all that live with Deion at the moment.